Journey to southern Spain where the biggest artistic treasure of the country, flamenco, was born, during this performance by Andalusia-based Manuel Ramírez, acclaimed flamenco choreographer and dancer, and master flamenco guitarist, Mario Parrana. 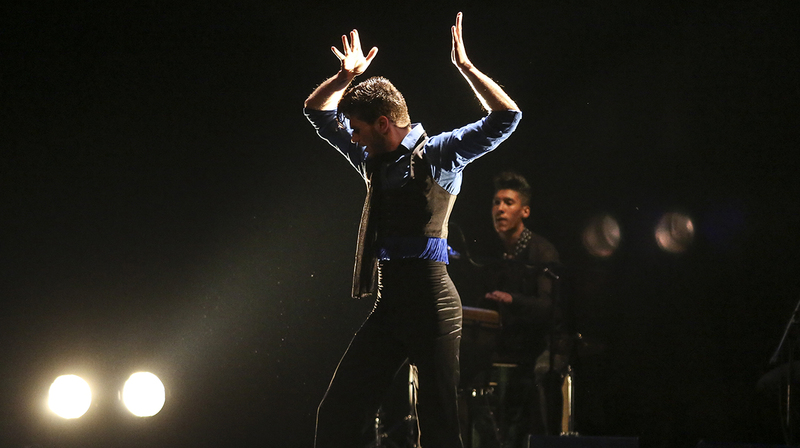 The theme of Ramírez’s performance is how a dancer confronts his fears and dances on stage alone. It showcases flamenco’s ability to adapt as he demonstrates his lively personal style while respecting the traditions and trajectory of flamenco in the 21st century. The evening also features local group Renka with special guest José Vega, the accomplished flamenco guitarist and powerful expressionist from Cadiz, Spain. Led by dancer and teacher Rie Ishizuka, the performance pushes further the geographical, spiritual, and cultural influences of and upon flamenco, by combining Japanese folk song and Buddhism chanting.